Provide comfort for the family of Helen O'Dell with a meaningful gesture of sympathy. Helen Ida O’Dell, 75, a resident of Dover Plains, NY, passed away on Thursday, December 20, 2018 at Vassar Brothers Medical Center in Poughkeepsie, NY. Mrs. O’Dell was a supervising housekeeper for 35 years at the Harlem Valley Psychiatric Center and later worked at the Wassaic Developmental Center. Born on June 5, 1943 in Sharon, CT she was the daughter of the late Charles and Helen (Ferris) Marshall. Mrs. O’Dell is survived by her son, Anthony Marshall of Wassaic; a brother, Walter Marshall of Dover Plains and three sisters, Margaret Dennis of Dover Plains, Freda Berry of Lagrangeville, and Anna Travis of Poughkeepsie. She is also survived by four grandchildren, Anthony Colgiavani of Albany, Shawn Marshall of White Plains and Hunter and Jesse Marshall of Dover Plains, NY; two great-grandchildren and several nieces and nephews. To send flowers in memory of Helen Ida O'Dell, please visit our Heartfelt Sympathies Store. 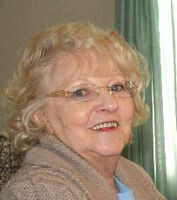 Provide comfort for the family of Helen Ida O'Dell by sending flowers. Sorry for your loss .. Sending lots of Love & Hugs to ALL of you at this time. Helen was a Great woman .. she will be deeply missed. Ronald and I are so sorry for your loss. Our thoughts and prayers are with your family at this time. May you find comfort in knowing Helen is free of pain and in a better place with our Lord and Savior. I am so sorry for your loss and your family will be in my prayers.. She is safe and pain free in the arms of our lord!! God Bless! !